Dawn Olchefske has great talent, and I check out her site on a regular basis. She provides so much inspiration to the paper crafting community. Thanks again Dawn. Today, I have taken an idea from one of her Christmas cards – making some minor changes. The card base is Naturals Ivory. I then took a piece of Very Vanilla and used the faux letterpress method with Crumb Cake ink and the Lacy Brocade TIEF. I stamped the pine cones from the retired Autumn Days using Early Espresso and Always Artichoke markers on Very Vanilla. These were sprinkled with Dazzling Diamonds glitter, and the edges sponged with Crumb Cake. and added to another piece of vanilla. The Peace on Earth sentiment from Greetings of the Season was stamped in Early Espresso. It is a little difficult to see the sparkles, but isn’t this an elegant Christmas card? Here is one using a different stamp set with a similar design. Hi Christine, sorry for the delay. I have emailed the instructions to you today. Thank you Jeanne. Sorry for the delay in responding to you. I used the now retired Autumn Days stamp set. You could use any similar image. Thank you Marlene. Sorry for the delay in replying. I have emailed the instructions to you today. Thank you Heather. Sorry for the long delay in replying. I have emailed the instructions to you today. Thank you Pat. I must apologise for the delay in replying. Somehow I missed your comment. I have emailed the instructions to you today. Hello! Just found this card on Pinterest would. Like instructions plz!!!! Hi Annette— love this card and others of yours I’ve seen. What stamp set did you use for the pine branch and cone? I got the Pretty Pines Thinlets dies, but must have missed that pine branch stamp I’ve been looking for a long time. Just beautiful! I love your faux letterpress card. Please email me the instructions. Thanks so much. I love your faux letterpress card. Could you please email me the instructions. Thanks so much. Thanks Rosa. I have emailed you the instructions. Enjoy. Simply stunning indeed! Would go great with my “rustic/vintage elegance theme for this coming Christmas. Would sincerely appreciate the “how-to”. Thanks so much. Would you email the instructions? I would really appreciate it! Beautiful card! Thank you Larissa. I have emailed the instructions to you. Thanks Yvonne. I have emailed you the instructions. Thanks Fran. I have emailed you the instructions. Thanks Jay. I have emailed you the instructions. Thank you for your lovely comment. I have emailed you the instructions. This is lovely and elegant. It’s just right for the feeling of the season, as is the sentiment. Thanks for sharing it with us. I would love the instructions as well, I love the design and the background. Thanks. I love this card! It is so elegant. Could you please send me the instructions? Thank you for your kind words Nancy. I have emailed you the detailed instructions. This is a beautiful card … did you cut out the background with a Cricut or something similar? Would love to make cards like this. I’ve been making mixed media cards but not this elegant. Thank you for sharing. I would like the instructions if you share them. Thank you! Thanks for your comment Kathy. I have emailed you the instructions. Thanks for your comment Ruth. I have emailed you the instructions. This card is so beautiful! 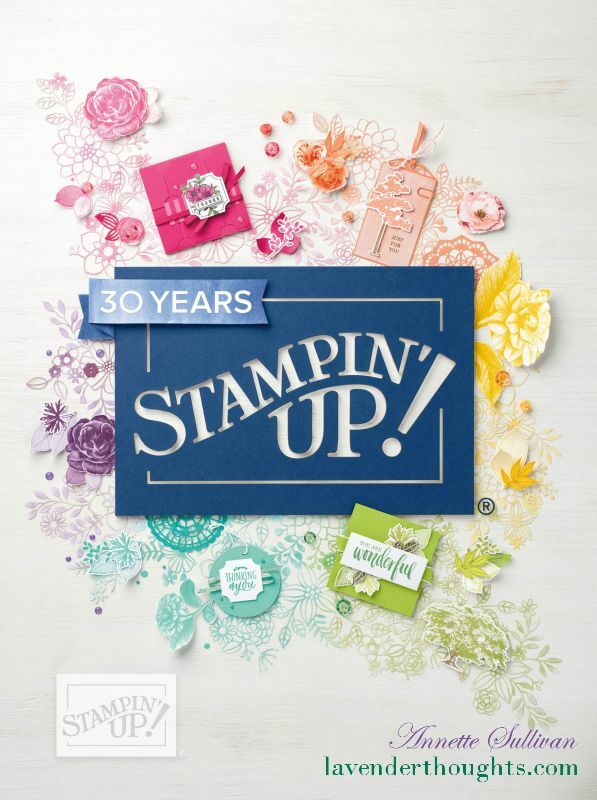 !.My friend just showed me this web site and I would love to try and make this card. Could you email me the directions please. rsherer5@charter.net. thanks so much. Thanks for your comment Bev. I have emailed you the instructions. I love this card. Would you mind sharing the instructions with me? Thanks very much. Thanks for your comment on my card. 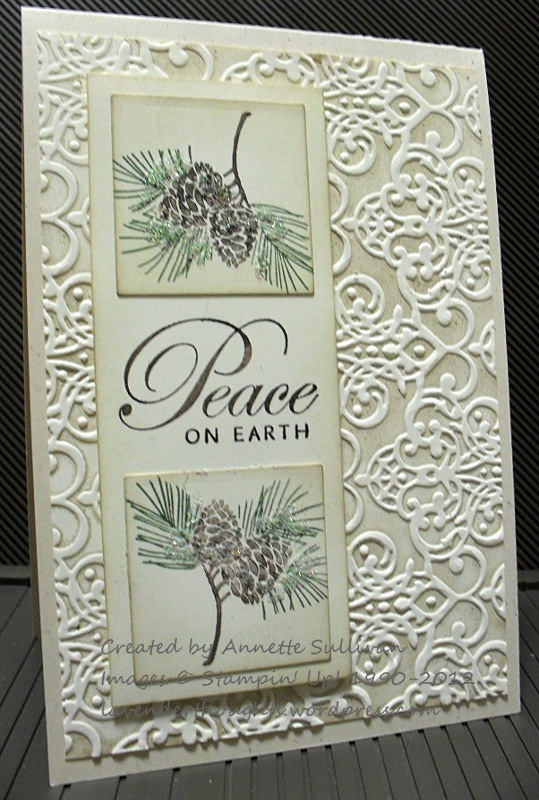 The Peace on Earth stamp is from a Stampin’ Up! set called “Greetings of the Season”. Love this card…very elegant. Would love to buy that “Peace” stamp. Don’t see the stamp maker tho. Thanks Lisa, I have emailed the directions to you. So beautiful and different! I would love to have the directions for this one. Thank you for your lovely comment June. I will email the directions to you. Hello, Wow, I just love this card. Can you send the directions to jjkkkcreagh@yahoo.com if you do not mind sharing!!! Simply Beautiful!!! Thank you for the shout out, Annette! I appreciate it! Very elegant Net up to your usual great standard. Annette, this is stunning! I must case this one for sure 🙂 Thanks for the inspiration!